The Doctor of Nursing Practice (DNP) degree was developed in response to a report from the Institute of Medicine “Crossing the Quality Chasm.” To improve the quality of care, the IOM suggested that nurse practitioners and physicians focus on teamwork, research, and technology. The DNP program aligns with recommended reform and covers the Essentials of Doctoral Education for Advanced Nursing Practice as designed by the American Association of College of Nursing. Today the DNP is offered at several universities across the United States and two universities in New Hampshire. While the New Hampshire Board of Nursing does not as yet require Nurse Practitioners to have a DNP for licensure, the AACN in a Position Statement on the Practice Doctorate advocates the degree. In 2015, the Association voted to move the level of preparation for nurse practitioners from the MSN to the DNP. Since there have been objections to this move, the DNP remains optional for nurse practitioners. The consensus was that the AACN provide evidence through outcome studies on the influence of the DNP on practice before making it a requirement. Nurse practitioners who choose the DNP path of study will be better positioned to work collaboratively with other healthcare professionals who hold a DNP degree – examples are dentists, physical therapists, physicians, and pharmacists. Moreover, the DNP may signal a pay raise for some practitioners, especially those who take on leadership roles. Although factors such as experience, employer, and geographic skills can influence salary, when it comes to opportunities, employers are more likely to hire a nurse prepared at the doctorate level over one prepared at the master’s level. Advanced practice registered nurses entering the DNP program will complete 30 to 40 credit hours of study that emphasizes teamwork, use of technology, and transitional research. Unlike the Ph.D., which is a research doctorate that focuses on the development of new knowledge, the DNP prepares students to translate research into practice. Graduates have a thorough understanding of healthcare from a systems perspective – at least in their area of specialty. Applying their knowledge and experience in the areas of ethics, healthcare policy, informatics, and finance, they can move forward to change the lives of an entire population of people. Advanced practice registered nurses face the hard decision about whether or not to continue their education. Completing their education to the terminal DNP degree will take time and money, and there’s no guarantee of a salary increase. Adding doctoral study to work and family commitments may be more than you can fathom. Is the DNP worth the effort? Do you need more education if you’re an experienced practitioner with a credible master’s degree? According to a report published in Nursing Economics, NPs prepared at the master’s level have been providing high-quality, effective, and safe care for decades, so does it make sense to get another degree if you’re a competent professional. For new registered news who are considering advanced practice, is the DNP a better option than the traditional master’s degree? In “The Future of Nursing” report, the Institute of Medicine presents a strong case for better-educated nurses. Increasing the percentage of doctoral nurses in the workforce will improve the profession, patient outcomes, and job satisfaction for the nurses themselves. As demands for nurses prepared at the doctorate level increases in the areas of education, research, and clinical specialties, nurses will benefit from better salaries and job security. The nursing shortage in the United States is closely linked to the need for highly skilled nurse educators. Nursing programs need compassionate and committed nurse educators to prepare the next generation of nurses to sustain and strengthen the health care system to meet the growing demands of the older population. Registered nurses can prepare for the nurse educator role by completing the DNP degree with an emphasis on education. Although the degree has a strong emphasis on clinical practice, many DNPs dedicate a part of or all their time to training the future generation of nurses. Nurse educators mentor students and help them attain the confidence and skills that will ensure their success in the program. They may also conduct research, write grant proposals, and publish articles in industry journals to improve the profession. The DNP paves the way for personal growth and development. Staying on top of practice, social and family commitments, and study is a balancing act that will build independence, organizational, time management, and other advanced skills that the profession needs. At the conclusion of the program, you’ll have the satisfaction of knowing that you overcame tough challenges and obtained the highest level of education that nurses can attain. Moreover, you’ll have advanced skills such as research, analysis, critical thinking, and clinical reasoning. Increase your earning potential with the DNP degree. In clinical settings, you might be a candidate for a higher position and greater responsibilities, which translates to higher pay. The DNP degree is essential for top-level positions in administration and clinical settings. Even in education, a nurse educator who holds a DNP will earn more than faculty without a doctorate. Overall, DNPs have the best job opportunities including those in leadership positions. Since less than 1 percent of nurses hold a DNP degree, competition is almost non-existent for the abundant positions requiring the terminal degree. In a survey of 142 DNP holders, half of them confirmed that the degree helped them advance in their career. Of the participants, 64 percent used the degree to obtain a position in leadership, but only one confirmed a salary increase due to the degree. DNP graduates may be eligible for positions in education, administration, and public policy and health although they primarily hold clinical responsibilities in hospitals and other clinical settings. Registered nurses who enroll in the doctorate program must be prepared to commit three to six years. Although it takes some time and a lot of money, it is a worthwhile investment to make a positive impact in healthcare. The degree is the next step to professional growth, and the struggles are nothing compared to the benefits of making a difference within the nursing community. Nurses enroll the DNP program to take their practice to the next level. The curriculum covers in-depth training in the student’s chosen area of specialization, allowing them to work collaboratively with like-minded professionals to improve the lives of patients, communities, and families. The primary goal of any DNP program is to prepare students to assume advanced practice roles where they’ll function as clinical experts to translate research and other evidence into practice, analyze patient outcomes, and improve safety and quality within the health care system. Success depends on the graduate’s ability to apply the knowledge and skills obtained in the program. The curriculum emphasizes the use of analytic measures to develop, identify and implement best practices, collaboration with other professionals to promote health and enhance outcomes, evidence-based practice and the application of innovative approaches to care, the development of leadership skills to influence health policy and patient advocacy, and the use of technology and information systems to evaluate, implement and apply knowledge to improve outcomes. Courses are both general and specialized and build on the foundation of the master’s program. MSN graduates will need to complete an additional 30 to 40 credits to accomplish the doctorate degree. The DNP Essentials require coverage of at least 1000 hours of practical experiences, which confirms the attainment of doctoral competencies. A part of this requirement may have been completed through the master’s program, and credit will be awarded for validated practicum experiences. There are generally two tracks to the DNP: a Post-Baccalaureate and a post-Master’s. Presently, the University of New Hampshire and Rivier University Online offers only the post-master’s option. Courses are delivered online with a few meet sessions and clinical practicum experiences in a local health care facility and under the supervision of an approved preceptor. The post-master’s track is offered online and is designed for working professionals who want to continue their education while maintaining employment. A master’s degree and certification in a specialized role are generally required for entry in the post-master’s track. Official transcripts of all college level education. A current unencumbered and active advanced practice registered nurse license in the state where the practicum experiences will be conducted. Transcript of a graduate level statistics course. Evidence of the number of supervised clinical hours completed in the master’s program. 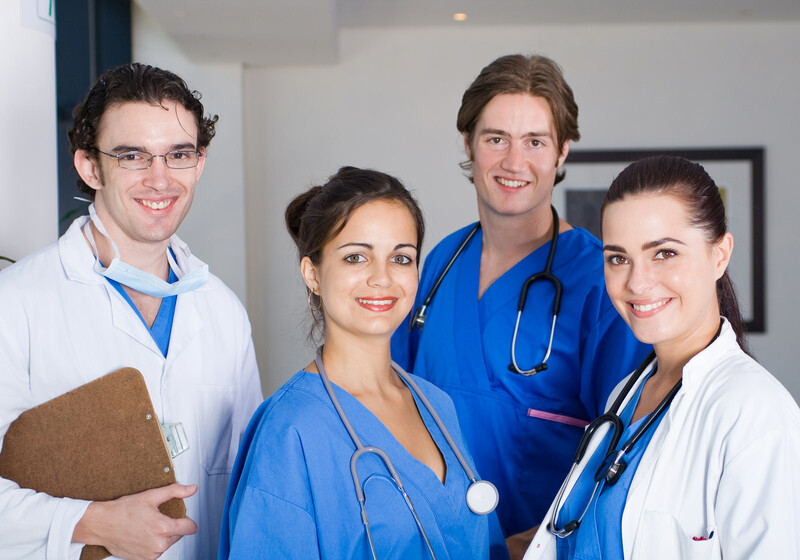 A master’s degree in nursing from an ACEN or CCNE accredited school. The cost of tuition for DNP students enrolled in the program at the University of New Hampshire is $770 for NH residents and $845 for out of state residents. Federal financial aid is available through College Work Study and Federal Unsubsidized Direct Loan for DNP students. Eligibility requirements include enrollment in 5 or more credits per semester, documentation of US citizenship or residency, and maintenance of satisfactory academic progress.